Mocktar Dicko, a Nigerian peasant, comes looking for work in Essekane, a gold mine in Northeast Burkina Faso. In this cage made of wind and dust, he hopes to forget the past that haunts him. He becomes friend with his boss and his colleagues and with a prostitute Tabassa and a young widow, Coumba, who dreams about sending her daughter to Denmark, where her uncle lives. While becoming familiar with his new life, Mocktar Dicko starts to loose his roots. The day he discover a piece of gold, decides not to go home and offers the money earned by selling the gold to Coumba. Dreams of Dust was important for me as it showed the competence of a talented director making a debut with his own script. Director Laurent Salgues was so impressive with this film that a particular shot of a woman seen through a cascade of water elicited a spontaneous clapping from the knowledgeable audience. The film is a story of Nigerien (from Niger, not Nigeria) gold prospector seeking gold in neighboring country Burkina Faso. One would think this is "Blood Diamond" revisited. Towards the final half hour of the film, the story evolves from mere "sweat-and-blood' tale of an expatriate into a metaphysical, psychological tale with visuals that remind of Kubrick's visual metaphors. The film won attention at Sundance and I can see several reasons for it. 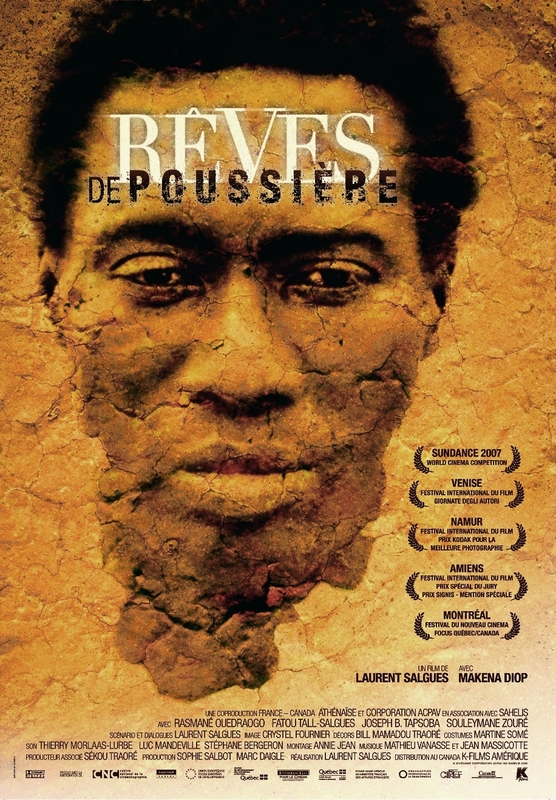 The film presents the nobility and elegance of African men and women, rarely seen on cinema. I can probably appreciate the film better because I have visited rural areas of the two countries indirectly discussed. I strongly recommend this film for its direction, its allegorical script, the fine performances and last, but not least, the superb camerawork of Crystel Fournier. It ought to be in the run for all the three major awards at IIFK. The characters in Laurent Salgues's entrancing debut feature occupy both a literal and figurative netherworld. Pulling amazing textures from the windswept wasteland, his widescreen images are hypnotic. But it's the camera's evocation of people that is most striking. Salgues is more interested in showing us inner landscapes -- and the dignity of these souls that seem to erode before us. For the rest, it's cruel irony that they are so close to gold but so far from happiness. In an amazingly stoic performance, Makena Diop conveys an entire journey of self-discovery. We have only a vague sense of Mocktar's wounds, but it's clear that riches will not salve them.